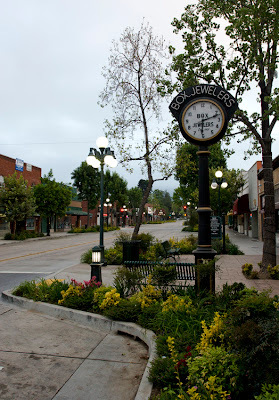 Just before the streetlights turn off in downtown Monrovia. Do they ever turn off? !